The language is quite strong – phrases like the worst virus and the most destructive virus ever are sure to get the attention of security-minded people. The problem is that the email fails to provide any authentic details to learn more about the threat, just vague announcements and classifications. Most people want to stay on top of their bills, and not pay them late. 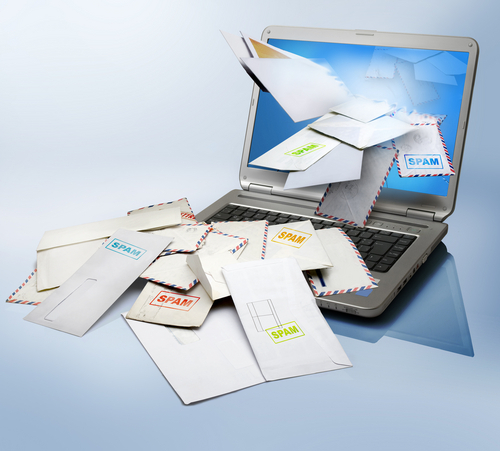 But recently, unexpected emails claiming an overdue invoice have been showing up in people’s inboxes, causing anxiety and ultimately a malware attack. 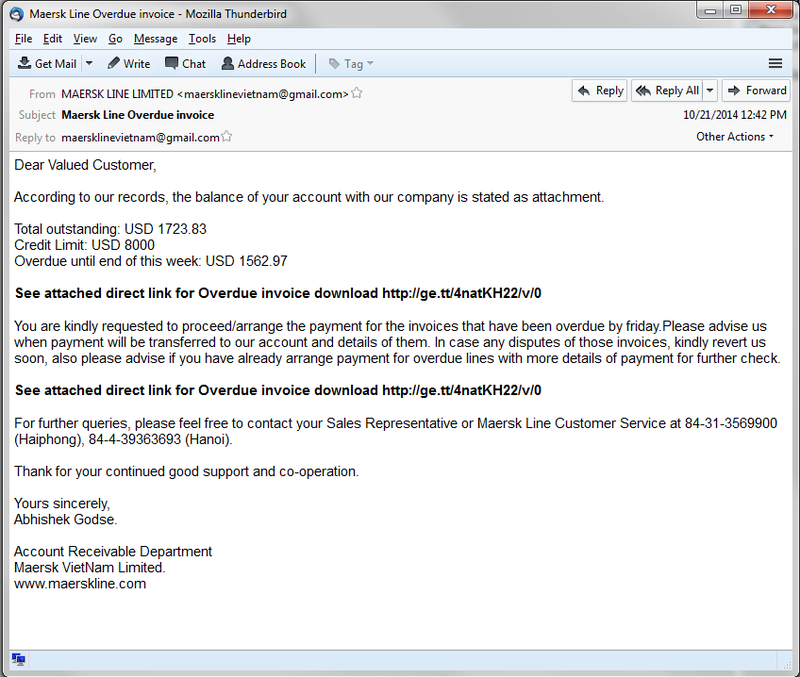 Read this report from the Avast Virus Lab, so as a consumer you’ll know what to look for, and as a systems administrator for an SMB or other website, you will know how cybercrooks can use your site for this type of social engineering scam. The downloaded file pretends to be a regular PDF file, however the filename âTotal outstanding invoice pdf.comâ is very suspicious. When the user executes theÂ malicious file, after a few unpacking procedures, it downloads the final vicious payload. The Avast Virus Lab has identified this payload as Pony Stealer, a well-known data-stealing Trojan which is responsible for stealing $220,000, as you can read here. We followed the payload URL and discoveredÂ thatÂ itÂ was downloaded from a hacked website. The interesting part is that we found a backdoor on that site allowing the attacker to take control ofÂ the entire website. As you can see, the attacker could create a new file and write any data to that file on the hacked website, for example, a malicious php script. Because that website was unsecured, cybercrooks used it to place several Pony Stealer administration panels on it, including the original installation package,Â and some otherÂ malware samples as well.Â You can see an example ofÂ Pony Stealer panel’sÂ help page writtenÂ in the Russian language on the following picture. 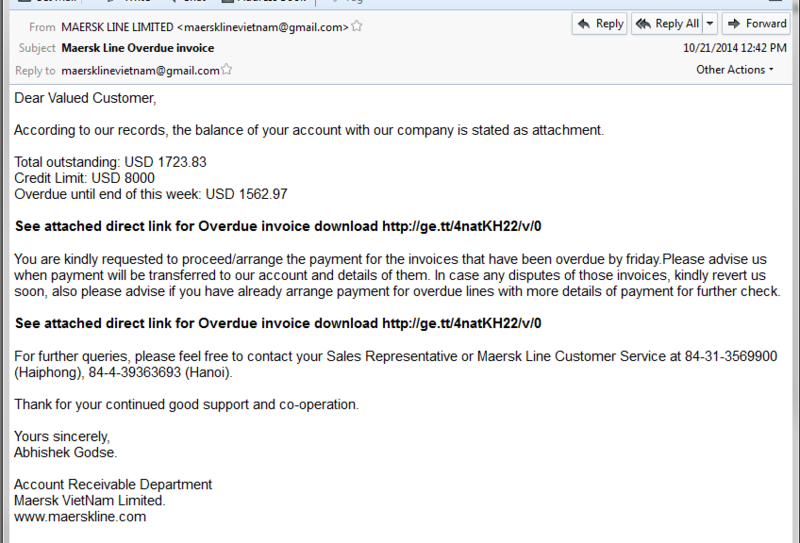 For Consumers: Use extreme caution if you see an email trying to convince you to pay money for non-ordered services. This use of “social engineering” is most likely fraudulent. Do not respond to these emails. For SMBs: If you are a server administrator, please secure your server and follow the general security recommendations. As you learned from this article,Â you can be hacked and a backdoor can be put in your website allowing anyone to upload whatever he wants to your website. Protect yourself and your visitors! I would like to thank Jan ZÃ­ka for discovering this campaign.